It happens little by little so much so that we don`t often notice our dogs piling on the pounds until its to late. An extra treat here, a titbit there, insufficient walks, lack of real nutrition, they all add up. Unfortunately dogs don`t cope well with being overweight. They can often feel vulnerable as they know they are physically weaker (making them a weak member of your pack). The can`t walk as far, they are unable to play or go for walks properly; is it any wonder we see a change in their character. Be sure to see your vet to rule out any heart or kidney problems which may be causing excessive water retention. What can being overweight lead to? 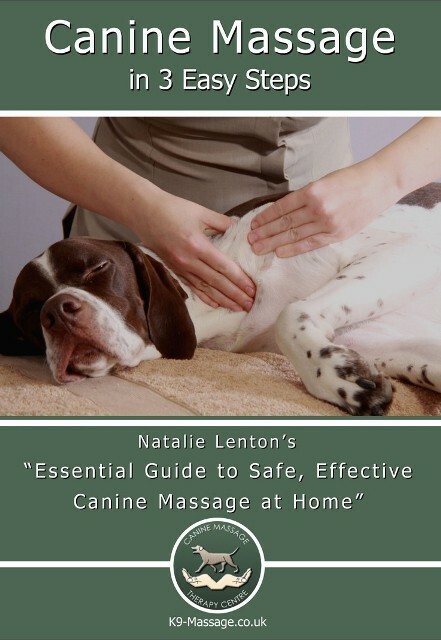 Many people don`t think massage can help an overweight dog. Latent issues in the muscular issue can stop a dog from wanting to exercise or exercising to their full potential. It may hurt them to do long stints of exercise so this pain-soreness-pain cycle they are in prevents them from wanting to do the exercise they so need. Think about it., if your back was aching would you want to exercise? No, the temptation is to sit around eating more food to occupy and entertain you and the dog is exactly the same. Your dog feeling more comfortable with increased mobility and flexibility that makes them able to and desire to exercise more an be more active so they can burn some excess calories and stored fat. As your dog wants to exercise more the onus is then on you to walk them longer, play with them move and really take care of what goes into their mouth. Remember a sneaky treat may make you feel good for rewarding them but stop and think about how the food you gives them affects their quality of life. Play a game like hide and seek with a toy to reward them instead, they will enjoy it and it`s a constructive way of building up more of a bond. Forget off the shelf supermarket brands and tinned food, this is equal to you eating take aways every night. Ignore people who tell you only to feed your dog `dog food` and never human food. A balanced diet of white meat, fish and vegetables is far better than anything that`s been processed and dried. No titbits or leftovers. None.